HWPL, the Strong Peace Wind: 5.25 HWPL Day, Peace Walk of IPYG, in 2nd Annual Peace Walk, Sikh! 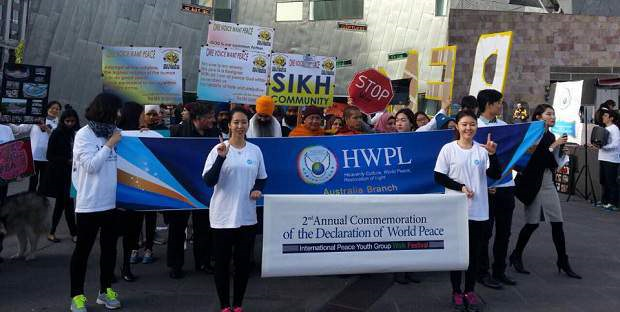 5.25 HWPL Day, Peace Walk of IPYG, in 2nd Annual Peace Walk, Sikh! Sikh, 5.25 HWPL Peace Day festival, the day before the Peace day. Second Annual Peace Walk in Melbourne, Australia. France in 1904 delineating their colonies in North Africa. 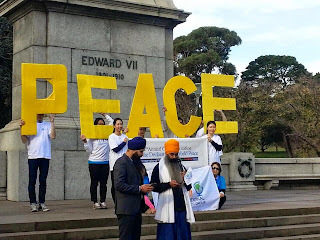 The day before the event, on 5.25 HWPL, Peace day festival, Sikh Community participated in 2nd Annual Peace Walk in Melbourne. 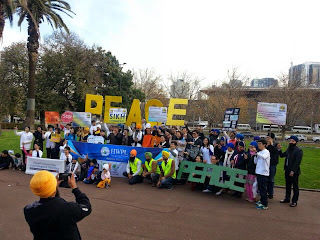 Melbourne – On 24th May 2015, about 35 Sikhs from Melbourne participated in the 2nd Annual Commemoration of the Declaration of World Peace and Peace Walk led by Heavenly Culture, World Peace, Restoration of Light (HWPL) and International Peace Youth Group (IPYG). The peace walk started at 2:00pm from FED Square to King George V Monument. the initiative to lead Sikh community in this walk. The walk was held with a purpose to create awareness and motivate others to work together for peace. People from different religions participated in this walk. This was the very first time that Sikh Community participated in this walk. Sikh Volunteers Australia took the initiative to lead Sikh community in this walk. They not only participated but also volunteered for this event as well. Sikh volunteers Australia distributed free water bottles during the event. The audience was able to witness harmony formed among different religions during this walk.